European Rail Traffic Management System (ERTMS) development started several years ago, with some rail manufacturers, infrastructure managers and trains operators, and the European Union. Alstom was present from the beginning in this process, being the first to put in service the ATLAS solution for ERTMS in a High Speed Line (HSL) in Italy, the first freight line in The Netherlands, and the first high-density line with short headway in Switzerland. The first set of ERTMS specification, stable and complete, is based in subset 026 with version called “2.3.0 D”, also known as Baseline 2. 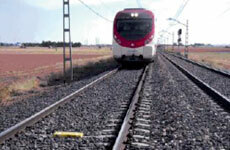 This Baseline 2 was used in most of the European projects today in commercial operation, and in Spain in all the Adif (Administrador de Infraestructuras Ferroviarias), and Renfe (Public train operator) projects. About Spain, there are several Adif lines in operation (Madrid-Barcelona, Madrid-Valencia, Madrid-Valladolid, etc…), and also Albacete-Alicante, the first to enter in commercial operation with ERTMS level 2, without fall back of level 1, in May 2014. Also Renfe has installed in some of their trains the ERTMS baseline 2, in High Speed, regional and commuter train types. Alstom has installed its ATLAS solution in Renfe S-100, S-104, S-114 and different type of CIVIA trains for commuter lines. Asltom has demonstrated experience in the ERTMS onboard equipment, with more than 5450 trainsets of 115 different types running with ATLAS solution.